Plot: Sikandar is union leader of workers in a factory which is owned by Chawla a corrupt criminal lawyer . when he refuses to take bribe. 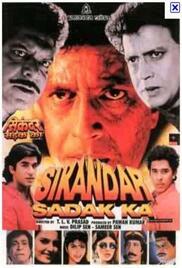 Sikander and his family are killed .Sikander returns back. how will he face Chawla ?